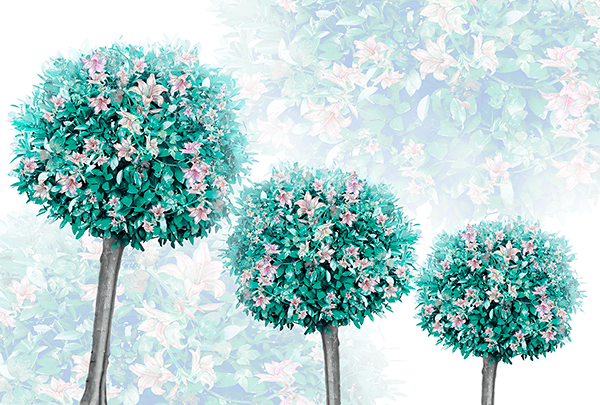 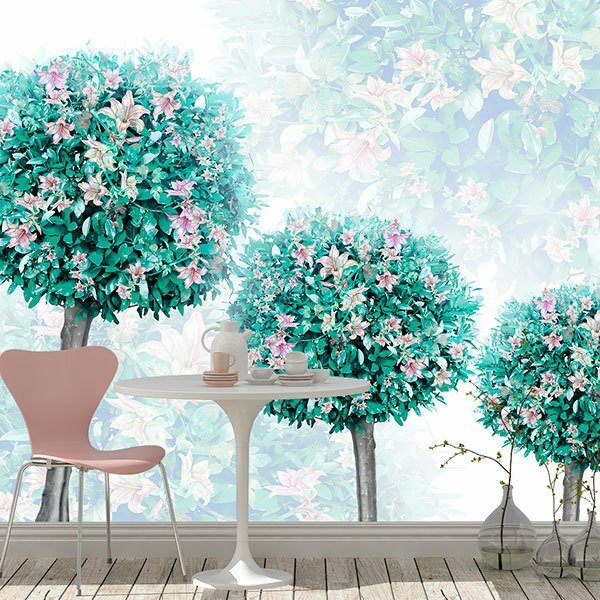 Wall mural Trees with flowers. 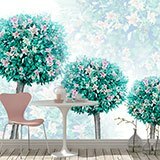 Beautiful composition of 3 lily flower trees, of progressive sizes, where the lilies stand out among the leaves. 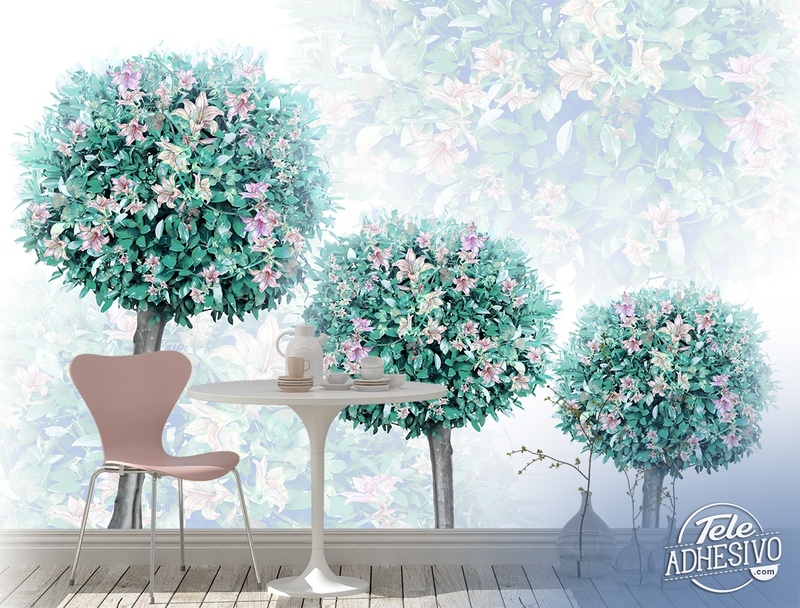 In the white background there are soft images of the textures of these trees, creating a special and pleasant atmosphere to decorate any wall.